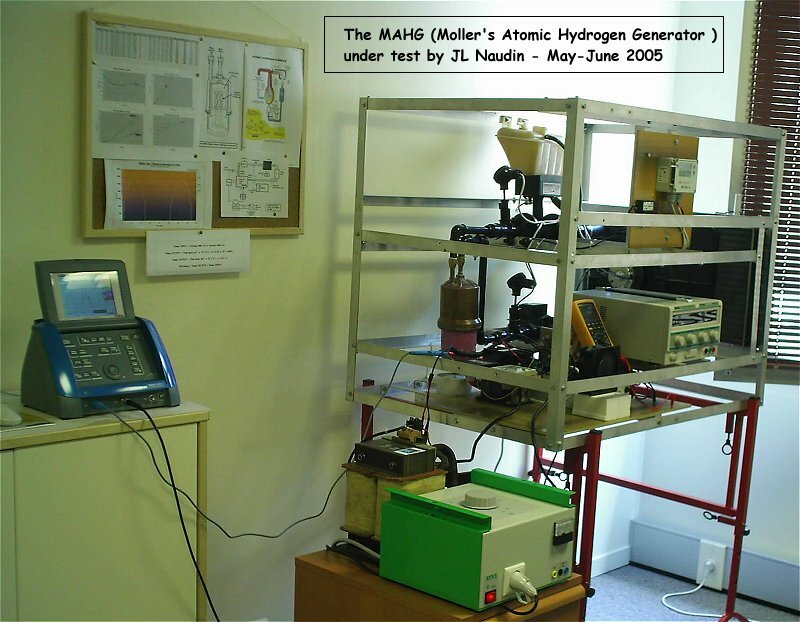 The purpose of these tests is to conduct some LONG TEST RUNS on the MAHG. So, I have conducted 3 RUNS of different durations : 30 min, 1 hour, and 2 hours at FULL POWER. 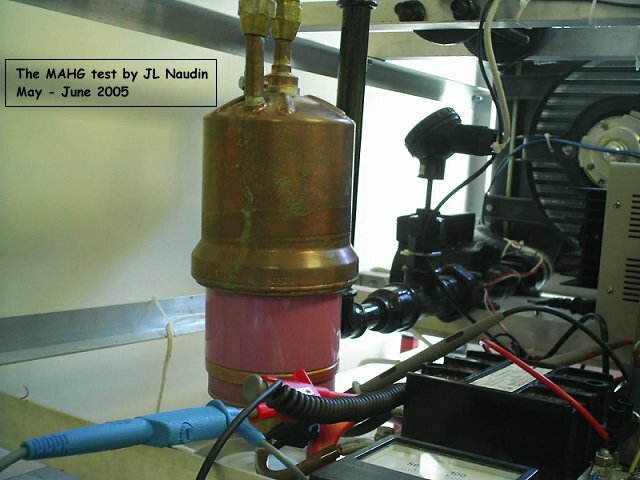 During these tests the pink area (the dielectric ring) of the reactor becomes hot (>60°C). 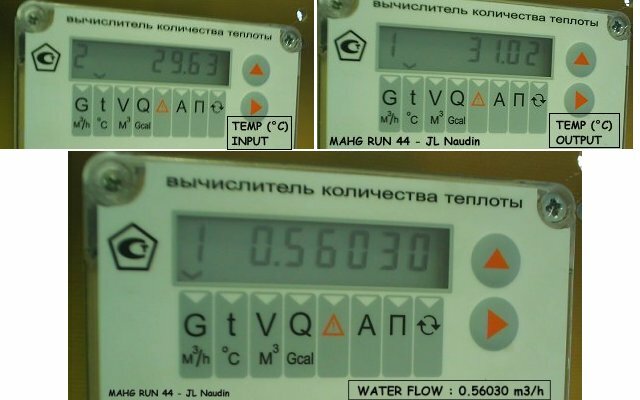 There are a lot of losses (~ 30%) through this part (see the blank tests). In next tests, this area will be insulated to prevent thermal losses. 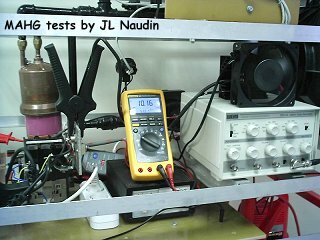 Comments from Jean-Louis Naudin : These long test runs on the MAHG are very encouraging because they demonstrate clearly that this device is able to provide a continuous and stable power flow (875 Watts) at its output for a long time (2 hours) with an efficiency of about 240% and with a net power gain of 515 Watts.